LOWELL, MA - Under the lights for the last time this season, the Spinners (36-38) put on a show in front of the home crowd as they took down the Connecticut Tigers (29-43) 6-4. Lowell struck first with three runs in the first inning. 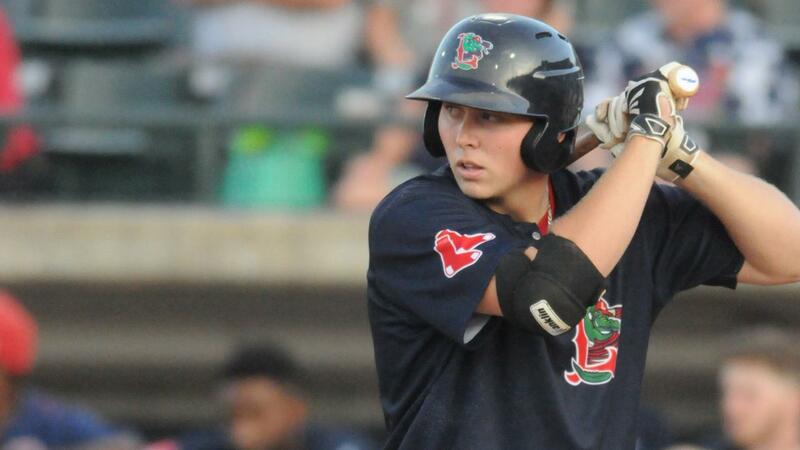 Brandon Howlett launched a three-run home run to left-center, his first in a Spinners uniform. Xavier LeGrant then drew a walk followed by a Tyler Esplin single, his first of four hits on the night. Catcher Elih Marrero made it a 3-0 game with a two-run double to right. Starting pitcher Chris Machamer delivered three innings for the Spinners. He struck out four, walked one, surrendered five hits, and a pair of earned runs. The offense added a run in the bottom of the third after Howlett drew a one-out walk and Tyler Esplin drove him home with an RBI-single to make it 4-2. Gonzalez threw two innings out of the bullpen and surrendered an earned run while striking out a pair. He was followed by Yoan Aybar who surrendered an unearned run to tie the game at four apiece. In the bottom of the sixth the Spinners put a pair of runners on the corners. Elih Marrero struck out swinging but a passed ball allowed Brandon Howlett to score from third base, giving the Spinners a 5-4 lead. Tyler Esplin gave the Spinners an insurance run in the eighth inning after driving in Xavier LeGrant on an RBI-double to make it 6-4. Andrew Politi locked down the top of the ninth with a pair of strikeouts en route to his seventh save of the season. Lowell closes out their 2018 season on Monday with a 12:35 p.m. first pitch. Left-hander Yorvin Pantoja is scheduled to take the hill.